This is a question we are asked daily at Rhythm Design & Marketing, however there is no definitive answer since the average cost of website design for small business vary from project to project. This article is intended to explain the most popular web design solutions chosen by small business owners, the costs involved and who it’s suited for. It’s from our experience the average cost of website design for small business is divided into four main categories; a single page website, a template website, an eCommerce site and a custom-made websites. The option that you choose will depend on the type of business you run, the industry you operate in and your budget. As the name suggests, a single page website is a website that only has one page, this option is generally for new businesses that need a place for people to look them up. Although this option is enticing due to the low-cost, we usually recommend against it considering single page websites rank very poorly in Google and other search engines. This is due to the limited amount of information on the website which makes it hard for Google to understand the services the business offers. 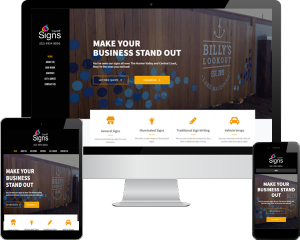 Single page websites are strictly for new business owners that desperately need to display information about their business online but are limited by budget. They work best for business that offer a limited number of services, for example, a mechanic, hairdresser, café, electrician, plumber, bookkeeper, concreter etc. Most people understand the services these companies offer and therefore it doesn’t require a lot of information on the website. Cheapest option, single page websites are a viable option for small business owners that are on a budget. Fast turnaround time, generally we can turn around a single page website in 5 – 10 working days if all website content is provided in a timely manner. Doesn’t require a lot of time and input from client which is great if you’re a busy business owner. Doesn’t rank well in Google, for example you wont rank for phrases such as ‘Mechanic Newcastle’, ‘Hairdresser Newcastle’ and therefore miss out on a lot of online inquiries. Low conversion rates, which means a lower percentage of people contact the business due to limited information on website, (when people can’t find the information they are looking for, they generally will leave your site and go to another site). The owner of the website cannot update or make changes to the website since there is no content management system (CMS) on single page websites. The cost of a single page website generally ranges from $500 – $800 depending on the amount of customisation that is required. In addition to this you will need to pay a yearly fee for domain name registration a hosting. Our single page website packages include 12 months of free hosting and domain name registration. After that the yearly cost of hosting and domain name registration is $150. In addition to this, if you require changes made to the website you will have to pay for ongoing support, we offer basic ongoing support packages that are $100/hr broken into 15-minute blocks. This is perfect if you want to add photos and new written content to the website after it is built. A template website has a predesigned layout which is personalised to suit the clients needs. Template websites are cheaper than custom websites because they remove a lot of the leg work for the designer. Although they are cheaper, they still look professional and are an affordable option for a lot of small business owners. With a template website design, the client will choose a template they like, and the website designer and client will then discuss design requirements and preferences to get the website exactly the way they want. It is a similar process as building a home through a project home builder, you choose a design you like, then customise to suit your preferences. Template websites are a very popular option for a small business owner because, they provide great value for money and a solid return on investment. They are generally for business owners that want to create a reliable source of revenue from online inquiries. Owner can manage website content. Limited number of designs to choose from. A template website ranges from $1,500 – $3,000 depending on the amount of work required. The guide below will give you a good idea how much a template website should cost. Content Management System & video guides on how to make changes to the website. Custom features: Option to add live chat, animated slideshow, virtual tour, online quote, price estimator. Basic SEO, helps website get found in Google. An eCommerce website enables businesses to sell their goods online as well as collect payments for services. This allow a business to sell their goods and services to a worldwide audience and has the potential to increase sales revenue when implemented with a digital marketing strategy. Generally, eCommerce sites are for businesses that want to sell their products online. If you are looking to increase your sales to a worldwide audience an eCommerce site is the perfect solution. In addition to selling physical goods, eCommerce websites can be used to collect payments from you customers. The cost of an eCommerce site generally ranges from $2,500 to $5,000. The cost is based on the number of products sold and customisations required for the eCommerce website. 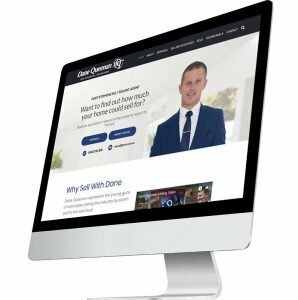 A custom website is designed from scratch to create a unique website that reflects your businesses image. A custom website goes beyond the appearance and usability of the website, the designer will look at your business objectives and develop a digital marketing strategy to meet these objectives. A custom design aims to be visually appealing and a generate large amount of website traffic and online inquiries. It will set your business aside from your competitors and make you appear as an authority in the industry. 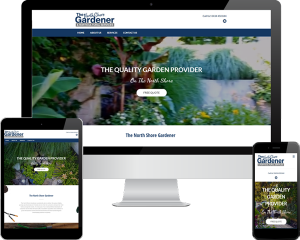 Custom websites are for small businesses that want to grow. If you’re a business owner that is looking to increase sales and invest in your company, a custom website and digital marketing strategy is for your business. Includes advanced features such as video backgrounds, live chat, sales pages, animated slideshows, conversion rate optimisation and advance website tracking. Longer design time (6 – 8 weeks). The cost of a custom website varies significantly. The average cost of website design for small business ranges from $3,000 – $6,000 for a custom website, with medium to large businesses spending between $6,000 – $15,000 on their designs. Although this can be off-putting for some business owners, the increase in website traffic and online inquiries easily cover the costs. Even though custom websites are the most expensive option, they are by far the most profitable as they increase online exposure to potential customers. As you can see the average cost of website design for small business varies based on your budget and needs for the website, it should also be noted that the industry you operate in will have an impact on the type of website your business needs. In conclusion, the cost of a single page website ranges from $500 to $800, a template website ranges from $1,500 to $3,000 and a custom website ranges from $3,000 to $6,000. It is from our experience the average cost of website design from small business falls between $1,500 and $4,000 for most small business owners. You might have heard of some business owners spending tens of thousands on website design, however the average cost of website design for small business is significantly lower than a larger company as large companies generally require their website to be integrated with third party software such as customer relationship management systems.